Days when I am sad. Or moments Lord, that pass me by. For the life soon to be lost. Knowing my love is stronger now than it ever was before. The one I now adore. If abortion is illegal, women will resort to dangerous, do-it-yourself abortions or untrained, back-alley abortionists. Desperate women will die by the tens of thousands, just as they did prior to Roe v. Wade. Legal abortion safeguards women’s health by giving them access to trained professionals who can end their pregnancy safely. 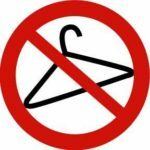 Yes, you read that right: Up to one in five pregnant women who die is killed by an abortion--even in countries like ours, where abortion is legal. Fr Kuhn, from St Jospeh's PArish in Yonkers speaking at the Religious Freedom Rally I attended on Saturday..he was awesome! I often get asked if the pain of an abortion will ever end? I certainly can identify with the feeling that it won't, but the truth is, yes, that undescrible pain does end. Will you ever forget about your abortion? I hope not! Imagine if we could just feel better and forget...how insignificant would abortion be? Abortion is a serious act with serious consequences, and well it should be, the life of an unborn child has been taken, but with faith, and the proper help and support, you will be able to work through the issues of abortion to find peace in your life again. How long will it take? Only God knows... it is a very individual process depending on many circumstances, but I can say this, peace is there for you from God, and healing and joy can be in your life again.